Charles Thies joined WestEnd Advisors in 2016. As a Director and Portfolio Specialist, he is a participant on the firm’s Investment Committee and has responsibility for compiling and disseminating the firm’s investment views. 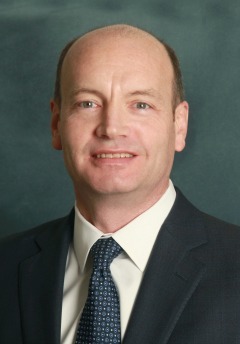 Charles entered the financial services industry in 1995. Prior to joining WestEnd Advisors, he founded Pergola Capital, LLC in 2014, serving as portfolio manager for a risk parity-based hedge fund. From 2002 to 2013, he held various investment research and communications roles with Fisher Investments, most recently as a Senior Capital Markets Analyst performing a range of economic and market research supporting the firm’s top-down investment process. Prior to that, he performed equity research for Salomon Smith Barney, from 2000 to 2001, and for a boutique investment management firm in Atlanta from 1996 to 1999. Charles is a graduate of the University of Virginia, where he received his B.S. in Commerce (Finance) from the McIntire School of Commerce and a B.A. in Philosophy.